Randy is a graduate student in the M.F.A. Acting program. From Charleston, SC, he earned a B.A. in Theatre Performance from College of Charleston in May of 2016. A childhood obsession with musicals led Randy to the theatre and, in time, to all theatre has to offer. 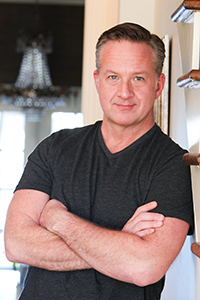 Very active in his hometown theatre community, roles in the past year have included Ensemble/Ja’Keith/Mayor in Village Playhouse’s Rock of Ages, Horst in Threshold Repertory Theatre’s Bent, Stanley in Footlight Players’ A Streetcar Named Desire, Pozzo in College of Charleston Center Stage’s Waiting for Godot, and Giovanni in College of Charleston Department of Theatre and Dance’s Lovers and Players.